Sept 24, 2015 (RELEASE) -- Updated October 2015 - April 2016 Training Schedule. 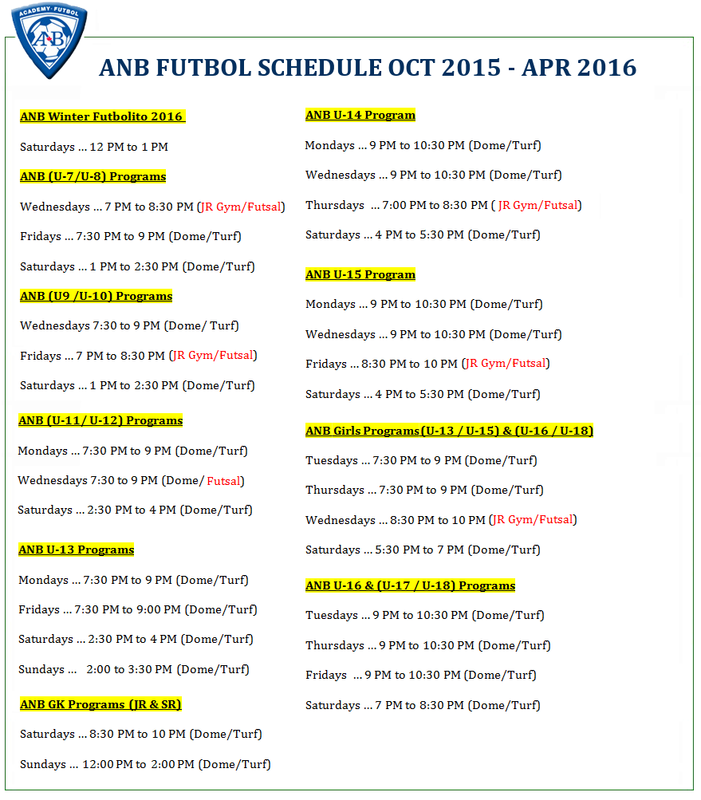 Sept 24, 2015 (RELEASE) -- ANB Futbol is pleased to announce field players and goalkeeper tryouts for 2016 Season. Sept 2, 2015 (RELEASE) -- The number of SAAC Academy players graduating into Canadian National Team programs from our elite player pipeline continues to flow as three more Academy products were named to the full U20 Men's National Team Camp taking place in Toronto. July 20, 2015 (RELEASE) -- ANB Futbol is offering open tryouts to Senior Players seeking to join its League 1 Ontario Womens team. The team is presently part of the Ontario Soccer Association sanctioned league, along with 6 other organizations. League 1 Ontario Women is in its inaugural season. 26 May, 2015 (RELEASE) -- ANB Futbol has been invited to participate in the inaugural "Challenge de Champagne Champagne" U-12/U-13 ('03 & '02 born) tournament hosted by ESTAC Troyes in Troyes, France, taking place on 6 & 7 June, 2015. The 13 player roster representing ANB Futbol will travel to the formation centre of ESTAC Troyes (Ligue 1- France) before the tournament and spend one week training on the club's grounds & watch training sessions of the Academy teams. 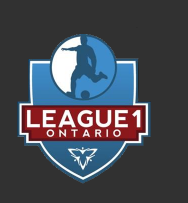 Feb 10, 2015 (RELEASE) -- League 1 Ontario will feature two ANB Futbol teams in 2015. The mens team will follow on its strong 1st season by participating in an expanded team league (12 teams). Recently, the Ontario Soccer Association announced the inaugural semi-professional season for 6 women teams, one of which will be ANB Futbol Women.